The Pick 6 sequence went unsolved for a second straight day Friday at Belmont Park, resulting in a double carryover of $141,055 heading into September Super Saturday at Belmont Park, highlighted by the Grade 1, $750,000 Jockey Club Gold Cup and three other graded stakes on the day on an 11-race card. Friday's sequence commenced in Race 4 with 2-5 post-time favorite Chamber (No. 1, $2.90) followed by Mama Mary (No. 12, $8) and Proximity Bias (No. 1, $4.40) capturing Race 5 and 6, respectively. Matty's Magnum (No. 5, $8.70) won Race 7 before Benevolence (No. 6, $65) pulled off the day's biggest upset, winning at odds of 31-1 in Race 8. Spectacular Plum (No. 6, $22.80) took the day's nightcap with another big score at odds of 10-1. A consolation payout of $710 was awarded to bettors who had five of six winners. The NYRA Bets Late Pick 5, covering the last five races of every live racing program at Belmont Park, returned $37,533.25 for one single winner. Saturday's Pick 6 sequence will begin with Race 6 with a scheduled post tie of 4:09 p.m. and will include Grade 1, $350,000 Vosburgh for 3-year-old sprinters (Race 7), the 1 ½-mile Grade 1, $500,000 Joe Hirsch Turf Classic (Race 8), the Grade 3, $200,000 Pilgrim for juveniles on the grass (Race 9), and the Grade 1 Jockey Club Gold Cup (Race 10). 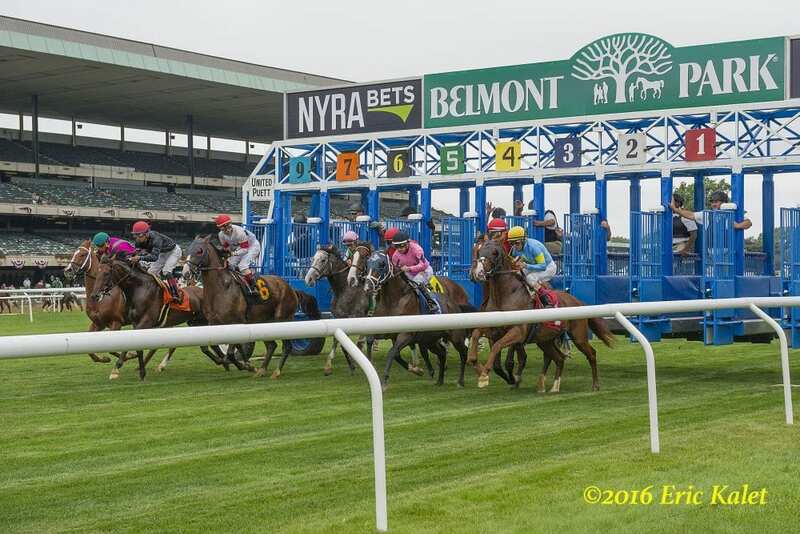 September Super Saturday will be televised regionally on Belmont Park Live from 4-6 p.m. ET on MSG+ and will also be available on NYRA Now, the official digital streaming app of the New York Racing Association. This entry was posted in Horseplayers, NL List and tagged belmont, belmont park, carryover, Handicapping, jockey club gold cup, nyra, nyra bets late pick 5, pick 6, pick 6 carryover, Super Saturday, Wagering by NYRA Press Office. Bookmark the permalink.